Lafayette, IN July 14, 2014: Passageways OnBoard, it’s next generation Board portal , became Generally Available to all its customers on May 16th, 2014. Since then, Passageways has implemented the first 50 customers . This includes the dozen beta partners and several new customers who understand the strategic impact OnBoard will have on their company. The string of recent successes across various industries point to a product that has hit the ground running, “We attribute this success to all the research with prospects and customers to create an experience that will delight all users”, said Ratul Shah, Director of Product Management. 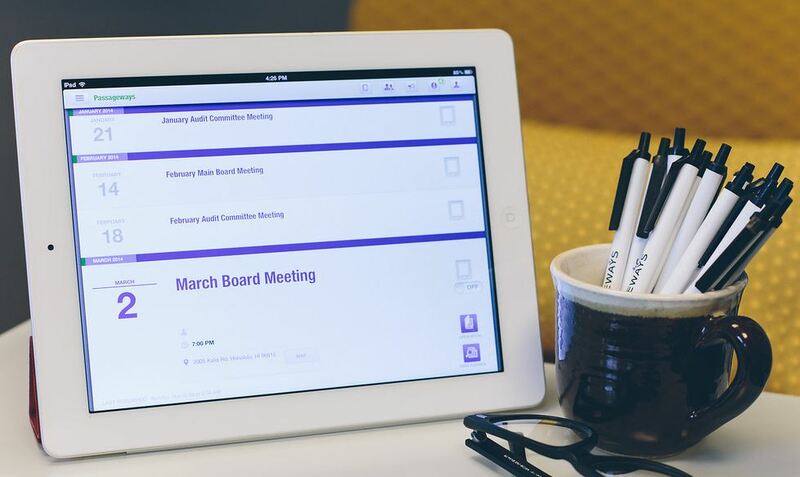 Passageways promises to deliver “The Best Board meeting Experience”, and serve several industries including financial, education, healthcare, and the Nonprofit industry. In the month of June, Passageways delivered OnBoard to customers in every one of these industries. The Passageways product team is constantly working on new functionality for OnBoard customers. The next release is slated for an early fall release and will target several innovative new features. Not only has Passageways committed to delivering its most innovative board portal solution, but they have reinforced their customer support by extending support hours from 8am to 8pm. They are excited to offer these new extended support hours to their current and future customers, without any new charges. “OnBoard has seen the fastest ramp up to 50 happy customers than we have ever seen in the company’s history. We appreciate the support from all our beta partners and generous customer loyalty by our customers “, said Co-Founder & CEO Passageways. Passageways was founded in 2003 with the vision to “To make our World more Collaborative, one organization at a time.” Today the company is an industry-leading provider of collaborative portal solutions. The company has successfully delivered over 400 portals to various industries. For more information, please call 1-765-535-1880, email sales@passageways.com, or visit passageways.com.